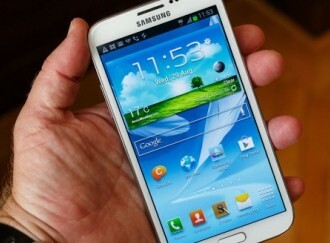 Samsung has announced the gargantuan Galaxy Note II smartphone will be heading to all major wireless carriers in the US in time for the holidays. The company points out that individual pricing and retail availability will be announced by each carrier although the handset will be widely available by mid-November. The original tablet / smartphone hybrid launched earlier this year in the states as an AT&T exclusive, much to the displeasure of many interested consumers locked into contracts with other carriers. This did little to curb overall interest, however, as Samsung recently announced sales for the handset surpassed the 10 million mark worldwide. This time around, customers with AT&T, Sprint, T-Mobile, Verizon and US Cellular will all have the opportunity to pick up a Note II on their respective carriers. US Cellular is now taking pre-orders for the 16GB Titanium Gray Galaxy Note II which they say will ship in late October. The phone will sell for $299.99 after instant rebate for those buying online during the pre-sale or $299.99 after $100 mail-in rebate when it arrives in stores. We’re still waiting to hear pricing and availability details from the four remaining carriers. If you need a quick refresher, the Galaxy Note II ships with a massive 5.5-inch HD Super AMOLED display, a quad-core 1.6GHz Exynos processor, 2GB of RAM and a 3,100mAh battery. A skinned version of Android 4.1 Jelly Bean, Google’s latest version of the OS, will be pre-installed on the handset.